The story of a General Motors factory leaving town is a sprawling American survival epic. Janesville: An American Story by Amy Goldstein. When General Motors shut down its longest-running auto factory in Janesville, Wisconsin in 2008, it could have meant certain destruction for the town and the thousands who were left with few options to continue providing for their families. But in 2017, Janesville is still alive. It didn’t become a ghost town, though it still bears the gray scar of the empty 4.8 million square foot G.M. facility sitting on the banks of the Rock River. Janesville’s people found ways to survive its closing and the subsequent fallout from the Great Recession while adapting themselves to the times. The town emerged, not triumphant but changed. 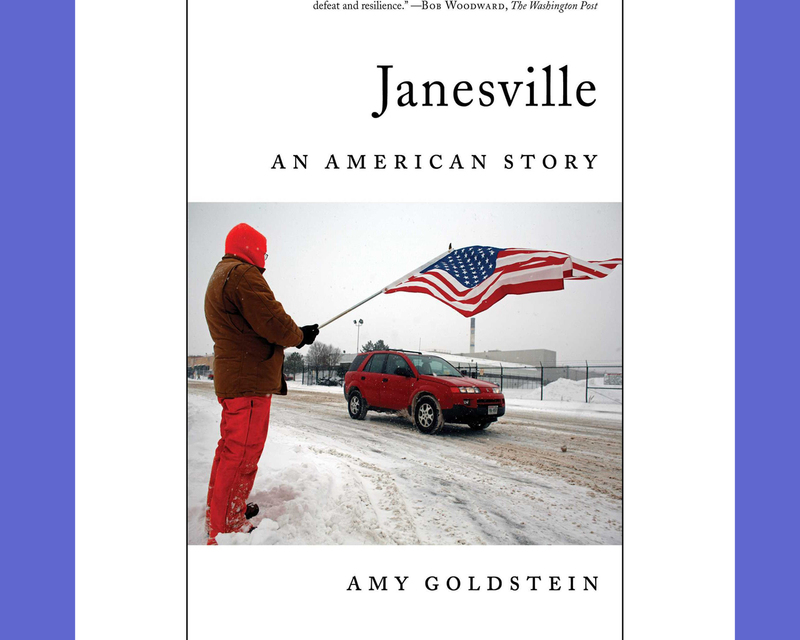 Amy Goldstein’s Janesville: An American Story (Amazon, Barnes and Noble) is the tale of an employment shock, but it is really about the people who struggle to live through them. “Janesville never stood a chance,” writes the Washington Post veteran journalist, who embedded herself with the workers, community leaders and politicians (like Janesville native and Speaker of the House Paul Ryan) who each play their part over the next five years to keep Janesville afloat. Though Goldstein is referring to the town’s slim chances of G.M. returning to produce a new vehicle at the factory, her line is emblematic of what Janesville would lose along the way: union identity and economic security. Through the strength of the United Auto Workers and the support of a pro-Union state, Janesville was a staunch labor-proud town where thousands of workers without college degrees could count on a steady paycheck and pensions upon retirement. It survived economic shocks before in previous decades, through the Great Depression and through the rising and falling fortunes of corporations like Parker Pen that once called Janesville home. Yet, as Goldstein surmises from nearly all who are profiled in the story, the closing of the G.M. factory would present new difficulties and Janesville would not experience a comeback like before. Despite G.M. keeping the factory on standby status until 2015, its remaining workforce would settle for buyouts, keep their jobs by migrating to other factories or retrain for other careers that were not guaranteed upon graduation. These were decisions, Goldstein writes, that previous generations did not have to make. Beyond the loss of the G.M. plant, Janesville would suffer more indignities. A devastating flood and the closures of subsidiary factories which supplied G.M., like Lear Corporation, would compound the economic disaster, creating more families living in poverty and something Goldstein says was never considered before– youth homelessness. Through the stories of three families: the Wopats, Whiteakers and the Vaughns, we are given a year-by-year breakdown of the decisions and sacrifices they make to keep their homes and feed their families. Some become what Goldstein calls “G.M. 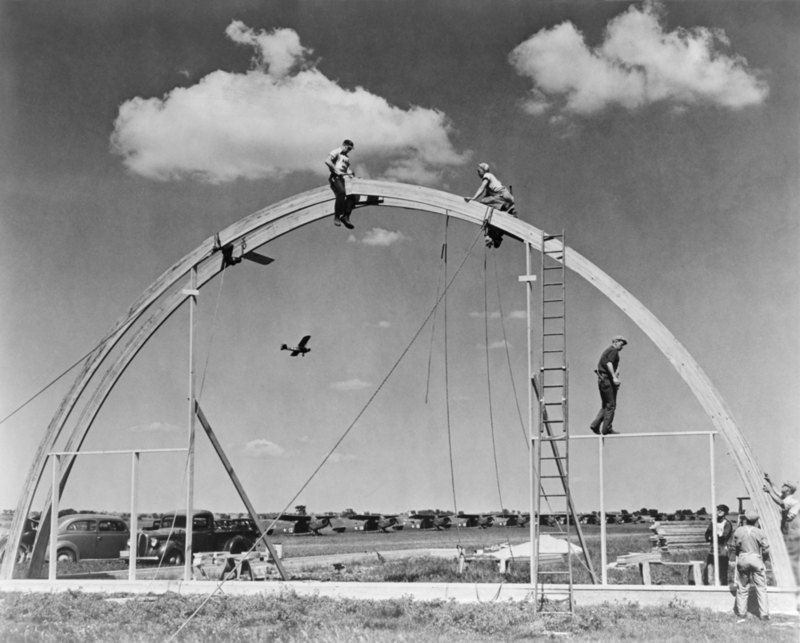 Gypsies,” in effect migrant workers divided between factory towns, Fort Worth on weekdays and Janesville on the weekends. Others try their hand with re-skilling, going to college to train for jobs which end up paying far less than the hard-fought union wages they received from GM. Just like the town, the families are stung by the loss of identity and stability. The Wopats, a multi-generation G.M. family, sacrifice quality family time as Matt Wopat holds onto his G.M. job in hopes of making it to a guaranteed pension his father Marv receives. The Whiteakers bounce from job-to-job and find times where they must make do with less. 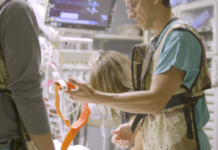 While the Vaughns strive to adapt, they find moments of success but are saddled with the generational plagues of war-induced Post Traumatic Stress Disorder in their son and opiates. Rallying around families is the Janesville community and business leaders, who mobilize quickly to preserve whatever remained of the hard-working American mythos within the town. But their stories set the stage of an almost mitosis-like “dividing” of Janesville, which mirrors the growing divide in the American body politic. The community president of Janesville’s M&I Bank creates the “Rock County 5.0” workforce initiative and convenes the fundraisers for it, not as an act of charity but in the interest of the town’s self-preservation. Without a workforce to support the local businesses, they too would end up leaving. But to get this workforce program going, major support must come from the top, through the donations of wealthy benefactors, one of which is keenly anti-union. While Janesville suffers through the Great Recession and isn’t delivered the promises from a newly-elected President Obama, an anti-union fervor sweeps through the state with the election of Republican Governor Scott Walker, who is matched in a rise to political prominence by Congressman Ryan. Instead of union-driven economic change, which successfully negotiated better wages and benefits, now community leaders are counted on to scrape together what they can from federal funding and creating budget-straining incentives to lure 21st-century tech companies to Janesville. All of it adds up to a dicey proposition in the uncertain economic climate of 2010. Goldstein notes a growing dissatisfaction due to government bureaucracy and the failures of the UAW to preserve G.M. jobs even though the G.M. received billions in a bailout. This creates an air of pessimism which infects the town. With so much working against the citizens of Janesville: depressed wages, underwater mortgages and evaporating jobs, Goldstein ensures that the pessimism that permeates the town does not do the same to her narrative. Each person in the story falls back on the can-do attitude that has kept Janesville moving forward. They don’t spend their days collecting unemployment and enjoying a deserved vacation from work, they get to work to find more work and preserve their way of life because they are left with no other choice. And when they can, they use whatever strength they have left to care for the most vulnerable amongst them. Goldstein’s book doesn’t exploit its subjects to serve a post-Trump election appetite for explainers on how the election swung his way (and in Wisconsin, it did). The book lets their stories speak to the larger truths that shifted political opinion and discourse to the right. A factory monoculture sustained working towns in the 20th Century, leading to their ultimate demise through offshoring and structural unemployment. Trump campaigned on a promise to restore these towns to their manufacturing dominance, to recapture that American dream. No matter the government incentives or protectionist agenda offered by state and the federal government, G.M. will never return to Janesville. This is the fact driven home even though the town did all it could to hold on until the very last minute. But Goldstein writes that Janesville persists because its people, united by a proud past, are striving to meet the demands of the future with all the resources they have left, each other. This has the hallmarks of being “An American Story” when viewed through a positive lens. But Goldstein makes sure to report that Janesville’s success isn’t defined by historical standards. The recovery was slow, and Goldstein notes that many workers aren’t enjoying the high wages they once had. There may not be a phoenix-like rebirth to its former glory after all. With the recent news of a billion-dollar Foxconn advanced manufacturing facility being lured to Wisconsin through a generous incentive package, Janesville was a brief contender for the factory. 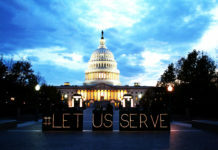 In a report from July, the company cited a lack of available workforce and has moved onto investigate other locations. Though not part of Goldstein’s narrative, this latest entry into the town’s history is another brief glimmer of hope extinguished by market forces. Next articleWhen work disappears, could an Universal Basic Income save societies?